This is a new scan of a negative I must have taken fifty or more years ago. It was taken from the churchyard of St Thomas' Church, Claremount, and shows the bottom part of Halifax back in the days when the buildings were still soot-black and the chimneys that made them so were still smoking. 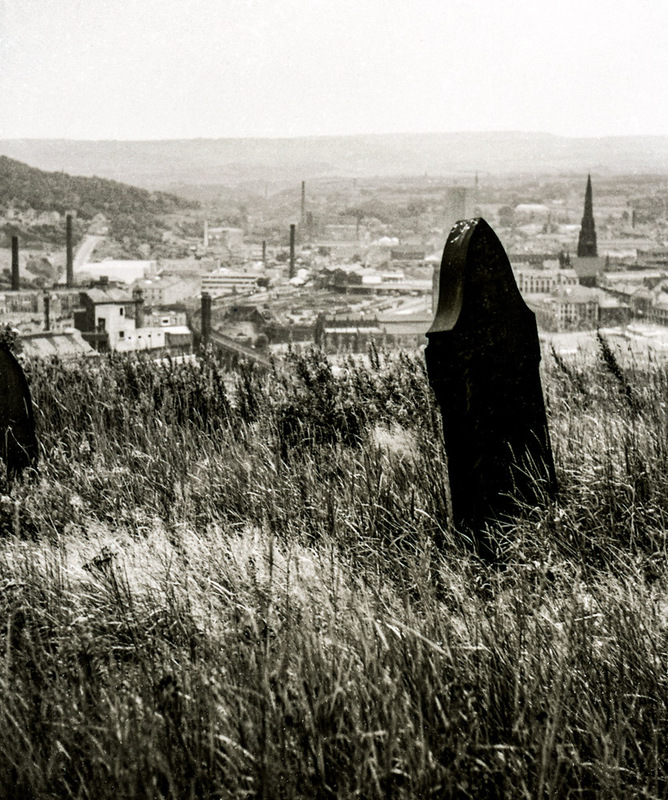 Halifax Minster is half hidden by a gravestone, but Square Church can be seen on the right of the picture and this helps to date the photograph as the main body of the church was destroyed by fire in 1971.